Science and Sexuality: The Biology of Sexual Identity, Sexual Orientation, and Intersexuality. The Biblical Adam and Eve story is BAD BIOLOGY! The binary sexual system is unnatural. Here you can learn the scientific story of sexuality from a physiologist's perspective. How many sexes are there? What exactly is a female? A male? Is intersexuality natural? What is known about the biology of sexual identity? Sexual orientation? WHAT ARE THE POLITICAL RAMIFICATIONS OF THESE FINDINGS? 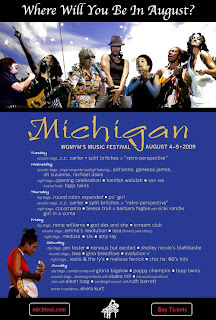 My presentation entitled "Science and Sexuality" will be given as a workshop at the National Womyn's Music Festival (aka MichFest) which runs from August 4th through the 9th in the woods near Walhalla, Michigan. The evidence presented in my PowerPoint slides will be thoroughly discussed and additional information not in the slides will be woven into the talk. As always, questions and discussion will follow the presentation. Event: Workshop entitled "Science and Sexuality"
MichFest is the first and the biggest of all women's music festivals and is attended by thousands of women from all over the United States who will coalesce in a tent city that pops up overnight in the woods of northern Michigan for the thirty-fourth year this August. As a largely lesbian event, this is a great venue for reaching a large number of women who already know the pains of being sexually different in a binary gender culture. If the MichFest audience receives the scientific information about intersex and transsexual persons as sympathetically as the audience at the National Women's Music Festival in Wisconsin did just a few weeks ago, then I will be very pleased. MYTH & SCIENCE OF SEXUALITY - Disordered or Just Different? Look at the slides while you listen to the presentation in the video. It's better than being there! *1 How Many Sexes Are There? "...our family, our friends, and our neighbors"
Publish your story! Help make the world a better place for intersex people. Social group for intersex people. Sexual identity - innate or learned? Watch the TV program. See this excellent 14 part Video Series on COMING OUT as a transsexual. This is what the family and friends should watch! Hundreds of distinct societies around the globe have their own long-established traditions for third, fourth, fifth, or more genders! See this video about the Fa'afafine of Samoa who are males biologically but women culturally. Oh, wow, she has her arm around me! What's the story behind the above photo? 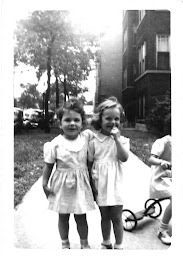 Read my childhood story at the Born This Way blog. See my childhood photos. This blog and my PowerPoint presentation of the same title ("Science & Sexuality") are ongoing labors of love in which my professional life as a biologist/physiologist and my political and personal life as a lesbian come together in a meaningful way. "She made a compelling case for atypical sexuality being a normal part of the gender spectrum, warranting greater efforts by society to embrace all people as they are. " 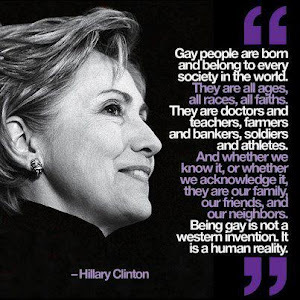 Get the Gay News Watch widget and many other great free widgets at Widgetbox! Get the - Gay News Daily -- Towleroad widget and many other great free widgets at Widgetbox! Here’s how I see it. Even if the researchers themselves only wanted to understand the biological basis of homosexuality, the data obtained would tell us much more. If we know the “cause” of homosexuality, then we also know the “cause” of heterosexuality. Comparing the physiology of “gay brains” to “straight brains” allows us to better understand both. There was a time when many people assumed that there was no other “biological” possibility than heterosexuality – that no particular brain structures or functions were involved in sexual orientation per se. Now it is generally agreed that different sexual orientations result from brain differences and furthermore, that those brain differences are innate. This is a major leap in understanding. If the research indicates that homosexuality is not a choice, then it also indicates that heterosexuality is not a choice. Everyone’s sexual orientation has a genetic, anatomical, and physiological basis. The research objective is to understand the biology of sexual orientation – in anybody and everybody, not only gay people. And not just people either – the other mammals too. Sexuality is ancient. The hypothalamic and limbic brain regions involved in sexual behavior are far more ancient than people and are likely much the same in all mammals. So the study of gay and lesbian people is basic biology. Additionally, by comparing transsexual brains to typical brains, we can eventually understand the neuroscience of sexual identity and know the anatomical and physiological basis of a person’s sexual sensibility of self, whether female, male, or intersex in identity. Once more, the objective is to understand the biology of sexual identity in all people, and likely other mammals as well. Again, this is biology, and it is why the study of innate “core sexuality” is so fascinating to me. *This essay was originally written by me as a comment to a post on another blog. Subscribe To "Science and Sexuality"